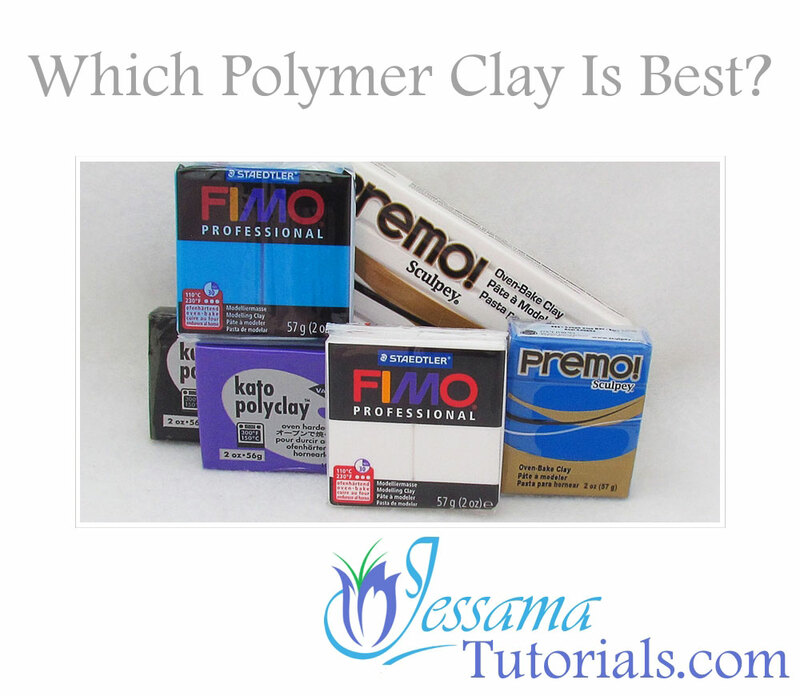 You are here: Home >> Popular Polymer Clay Brands > Which Is The Best Polymer Clay Brand? Which is the best polymer clay brand? In this article I’ll go through the three main brands of polymer clay: Kato, Premo and Fimo Professional, and discuss which brand is good for what, to help you make the best decision on what to buy. None of them. None of them ticks all the boxes. They all have their own personalities that fit specific purposes and it’s your job as an artist to choose the best clay for each polymer clay project. 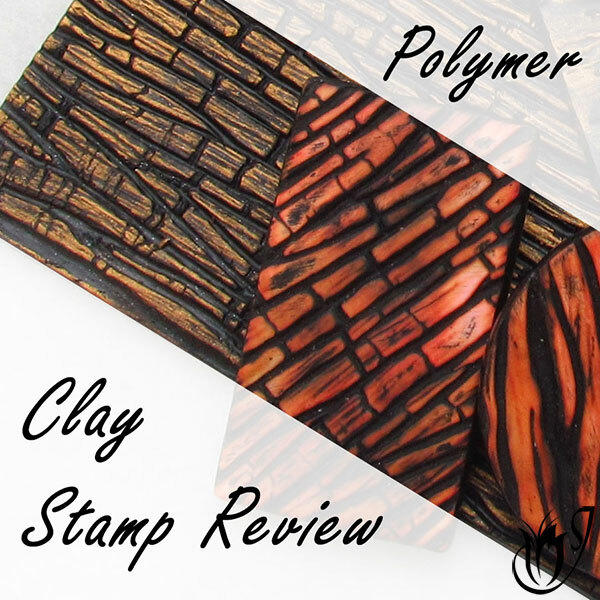 There are other brands of polymer clay on the market like Cernit and Soufflé, but I find they’re more speciality clays and not as popular as the three main brands I've reviewed here. Kato is easy to find online. The Kato brand is not as expensive as some of the others. It is one of the only polymer clay brands that includes pure primary and secondary colors in its range. Color-mixing is easy and predictable. There are 9 different liquid clay colors. Kato concentrates add a whole new dimension to working with mica clay. There is only a very small color shift between baked and raw clay. Kato polymer clay is not sticky, even in warm temperatures. It resists fingerprints better than some of the other clays. Its texture makes it relatively easy to roll at the thinner settings on your pasta machine. Kato is very difficult to overwork. It is strong when baked, even at thin settings. Baked Kato is very difficult to scratch. It holds fine detail well. And finally, Kato polymer clay is great for caning and faux stone techniques. 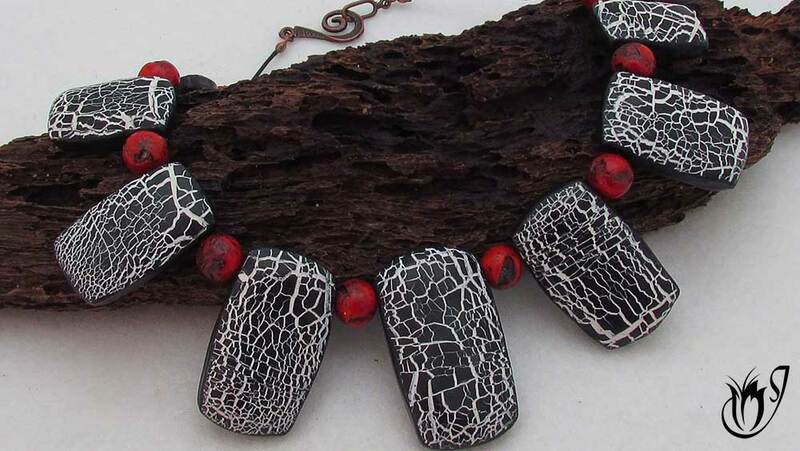 Click here to go to this crackled black and white beads tutorial. Detailed review of the 14 Things I Love About Kato Polymer Clay. You can see that the block on the right has softened up quite a bit after a few blows with the mallet. It has a fairly strong smell. Some people don't notice, but others find it quite bothersome. Airing the clay before using it and working in a ventilated area can alleviate this problem somewhat, but if you are sensitive to strong smells, you probably won't enjoy working with Kato polymer clay. It takes more effort to condition than some other brands. Bashing the clay a few times with a mallet before running it through the pasta machine usually solves this problem. You can't use it straight from the packet because of its high translucence, and it doesn't come in a whole range of pre-mixed colors like the other polymer clay brands do. But it does come in artists primaries. This makes mixing your own colors easy. 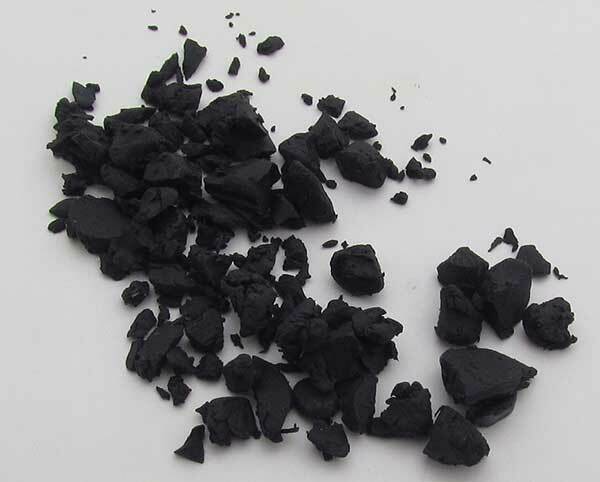 Kato polyclay is not well suited for all applications, for instance, molding and mica powder surface techniques. On the positive side it is by far the best clay for caning. Finally, Kato is very difficult to use in cold temperatures. Detailed review of the Kato Polyclays Problems. Recommendations - When is Kato The best polymer clay? If you’re a professional polymer clay cane artist or plan to be one, this is the one I’d recommend. It’s by far the best polymer clay for caning. It’s great for faux stone techniques as you can get an accurate color. If you like mixing your own colors I’d recommend this clay. If you live in a warm climate this clay can be a life saver. On the whole this clay is a professional artist's clay for people that do large complex canes and want to be able to mix specific colors with relative ease. If you’re just getting started with polymer clay, I don’t recommend this clay as it’s quite hard and can put you off. Better to leave it for later. It's quite oily which makes it difficult to use with some surface techniques. If you have weak hands for some reason this clay is going to be quite troublesome. If you live in freezing weather all year round this clay’s not going to work, unless you have heating. 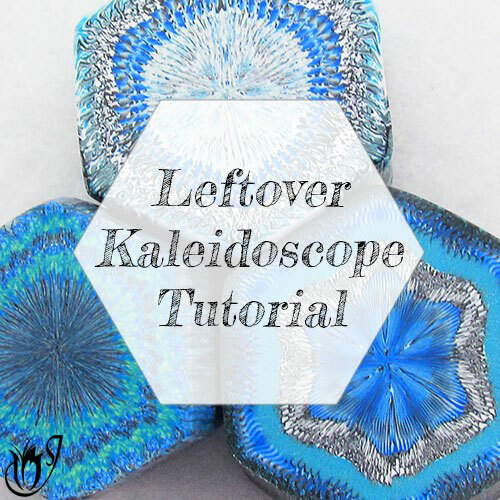 If you have limited time or you want premixed colors, this polymer clay probably isn't going to be your best bet. The Premo polymer clay range includes almost any color you could think of, ready to use, straight from the packet. On top of this, there are also wonderful effect colors like opal, glitters, neons and glow-in-the-dark. Premo shows virtually no color shift between the raw and baked polymer clay. Make sure to protect it from scorching though. 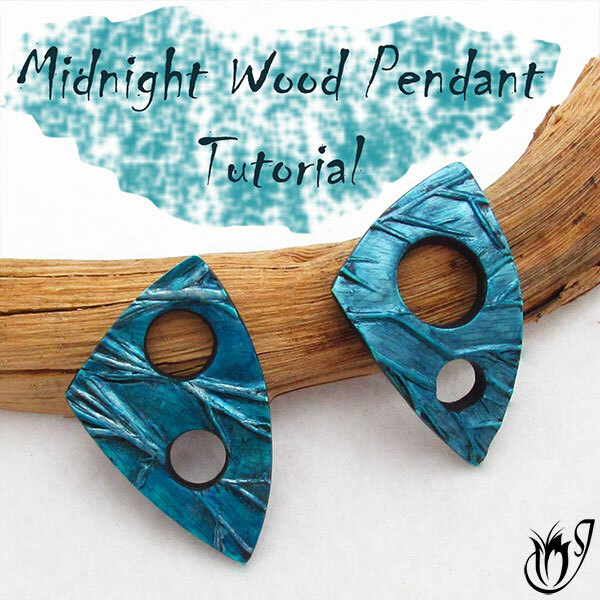 You can use it for almost any polymer clay technique, making it a great all-round clay. From surface techniques to faux stones, Premo is versatile enough to give a good result. Premo is a relatively soft clay and this makes it the best polymer clay for people living in cold climates. It remains workable through temperatures that other brands can't cope with. Premo is a very strong and flexible clay making it great for vase and cutlery decoration. The range includes two types of translucents: Premo Translucent and Premo White Translucent. These can be used in many different projects. Premo hasn't got much of an odor. Some even say it smells nice. If you've had trouble with Kato's smell, Premo will make a welcome change. 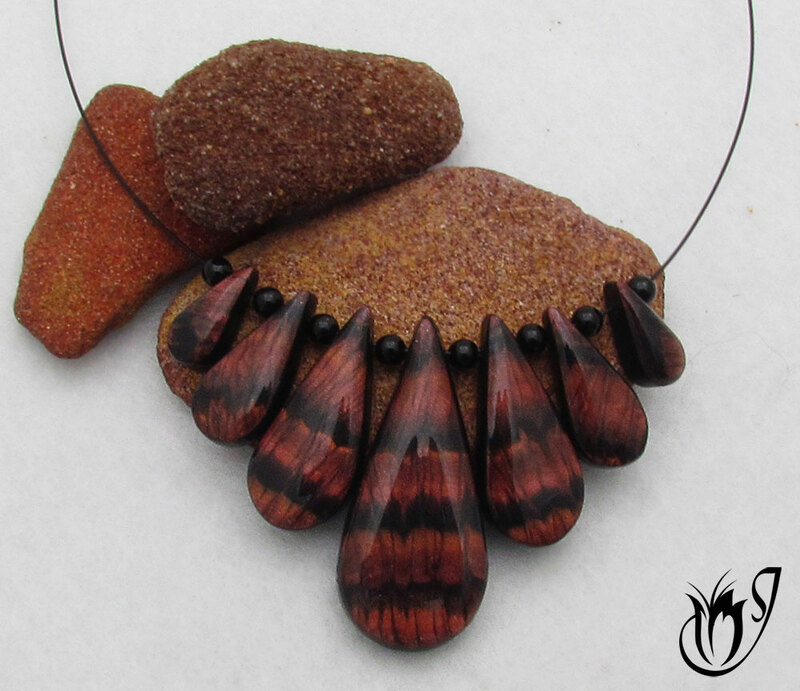 Faux red tiger eye beads. Detailed review of What I Love About Premo. The cane on the left is made with Premo clay. You can see that it is not as crisp as the Kato cane on the right. It is difficult to mix your own colors with Premo, because there are no pure primaries included in their range. Colors are discontinued regularly at the whim of the manufacturer. Any color recipes including the discontinued colors have to be reworked. Premo polymer clay can be expensive and hard to find in some places outside of the USA. 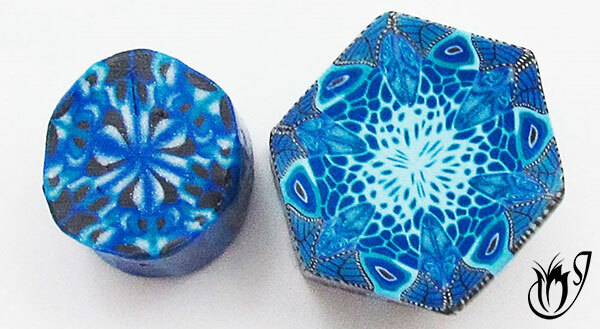 This polymer clay gets soft, sticky and virtually unusable in warm temperatures. It has a tendency to pick up lint and dust because of its sticky consistency. It can be difficult to keep clean. In warm climates it’s too soft to go through the thinner settings on pasta machines. Finally, Premo doesn't work well in canes. The polymer clay’s consistency causes the colors to blend into one another, reducing the sharpness of the detail in the cane. Detailed review of Premo Clay's Problems. 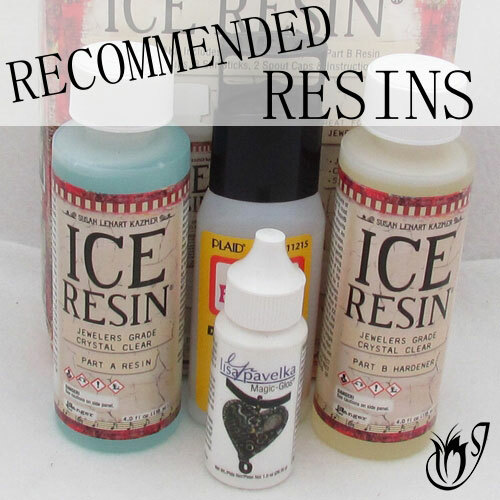 Recommendations - When is premo the best polymer clay? It’s a great starter clay for beginners, as the clay is soft and there’s very little preparation required before starting on your project. If you live in cold weather all year round this clay is just perfect. If you hate mixing colors up each time you want to start a project, this clay has that covered. You have an almost endless range of colors to choose from. Overall I’d recommend this clay to people just getting started with polymer clay and clayers with limited time as it’s easy and quick to use. I don’t recommend this clay to anyone who wants to get into cane work. It’s far from being the best polymer clay for that. You can only make basic canes with this clay. It’s too soft to hold a sharp image. If you like mixing colors or just want the same colors to be available in the line forever, I don’t recommend this clay. There aren’t any pure colors and colors in the line are constantly being discontinued. If you happen to live in a climate that’s warm all the time, this clay will be impossible to work with. On the whole Premo polymer clay is easy to use, but it doesn’t fit the bill when it comes to complex canes, color accuracy and repeatable faux stones. The Fimo Professional range includes true primaries, which are great for mixing your own colors, as well as, premixed colors. All of the colors can be used straight from the packet. Fimo Pro shows vitually no color shift between the baked and unbaked clay. 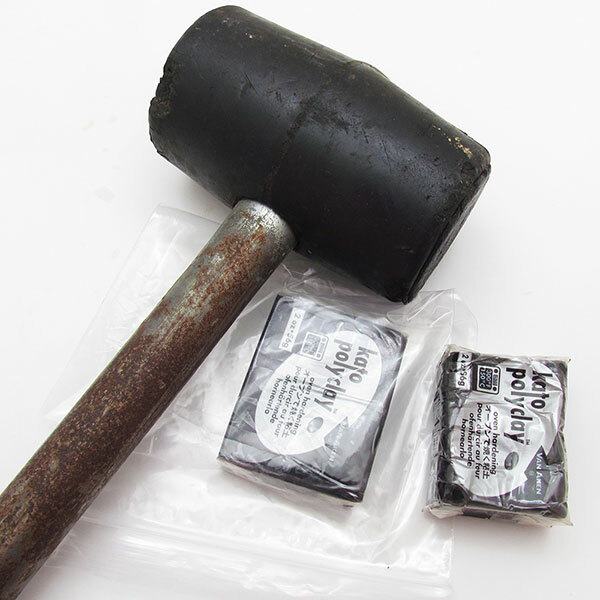 It is a very versatile clay and can be used for almost any polymer clay technique. It has a firm, but pliable texture, when properly conditioned. It is not sticky like some other brands, unless it gets too warm. It behaves well in warm and cold temperatures. It is strong and resilient when baked. Fimo’s Deco Gel is one of the most translucent liquid clays on the market. In my opinion, Fimo Professional is the best all round beginner's polymer clay. 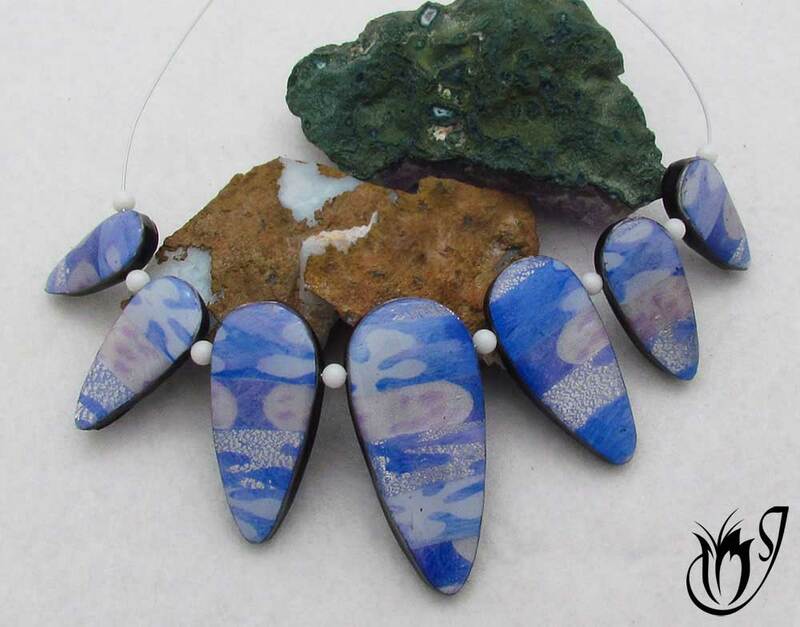 This necklace was done using multiple surface techniques ranging from alcohol ink to mica powders. Detailed review of What I Love About Fimo Professional Clay. Here's a photo of Fimo Professional before it's conditioned. Fimo Professional is manufactured in Europe. Because of this it can be quite a bit more expensive than other brands of polymer clay if you are buying from outside the region. The color range includes less premixed colors than Premo. You will likely still need to mix some of your own colors. Fimo Pro tends to leave a lot of residue on your hands. In warmer temperatures it can become sticky. Unconditioned Fimo Professional will be hard and crumbly, and it takes a bit of effort to condition it properly. Detailed review of Fimo Professional's Problems. Recommendations - When is fimo the best polymer clay? Fimo polymer clay handles changing weather conditions better than most other brands, so if you live in a climate that flips from hot to cold, this is the best polymer clay for that problem. If you want to try just about any polymer clay technique, but don’t want to get serious with any of them yet, I’d highly recommend this clay. All in all I recommend this clay as the best all round clay for polymer clay beginners, and it's a great clay to use if you like to do a little bit of everything. If you’ve got weak hands and want really soft clay this clay won’t work for you. It’s not as hard as Kato, but it still takes a bit of work to condition it properly. It’s also a little hard to work with compared to Premo, so if you like easy, soft clay, this isn’t the best polymer clay for you. If you want to get serious with any particular technique, whether it be faux stones or canes, this clay may not be the best option. It will still give you pretty good results, but probably not the best results that you could possibly get if you chose the specific polymer clay brand best suited to your technique. Kato is great for caning, faux stones, small detail, color mixing and warm climates. Kato is not the best polymer clay for beginners, people with weak hands or who are short of time, or cold climates. Premo is great in cold weather and if you want a clay that is easy to work with, with minimal preparation. It is good for molding and surface techniques. Premo is not the best polymer clay for caning, keeping a consistent color repertoire across your portfolio or warm climates. Fimo Professional is a great all round clay, good for beginners, works with any polymer clay technique and in all but the most extreme climates. Its also good for color mixing. Fimo Professional is not the best polymer clay for people with weak hands or who are short of time, and although it does a pretty good job, it's still not as good as Kato for complex caning or faux stone techniques. 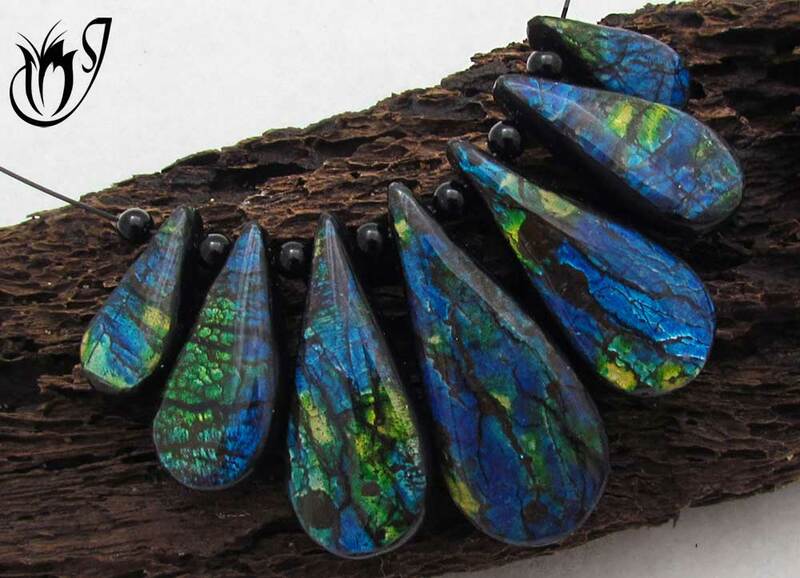 Faux labradorite beads strung on accu-flex. Click here to go to the tutorial. I use many different brands, sometimes combining more than one in a single project. Just bake the clay for an hour at the average temperature across the brands. Everyone seems to have a fairly strong opinion as to which is the best polymer clay brand. What's yours? Let me know in the comments below and like and share the conversation with your friends. Is Fimo Professional Polymer Clay Perfect?